“It’s often occurred to me that one might make a first-rate comedy on the making of a movie,” François Truffaut remarked during a 1962 conversation with Alfred Hitchcock, the basis for his book on the Master of Suspense. At that point, Truffaut was still a relative novice as a director, with only three feature films and a few shorts to his name. By the time his idea came to fruition in the form of 1973’s Day for Night, he had acquired ample experience, good and bad, from which he could draw material, and draw from it he did. Day for Night is a behind-the-scenes look at the making of a fictitious film called Meet Pamela, in which a young Frenchman and his new English wife go to visit his parents, only to have her fall in love with her father-in-law. (This plot was inspired by an incident that Truffaut had read about in a newspaper in the mid-1960s. As he often did when he came across something that struck his fancy, he had saved the clipping for possible future use.) The parents are played by Alexandre (Jean-Pierre Aumont) and Séverine (Valentina Cortese), two veteran actors with long careers and a personal history behind them; neurotic, childish Alphonse (Jean-Pierre Léaud) portrays their son; and British actress Julie Baker (Jacqueline Bisset), who suffered a nervous breakdown the previous year, is the eponymous Pamela. Surrounding and supporting them are numerous crew members — among them script supervisor Joëlle (Nathalie Baye), makeup artist Odile (Nike Arrighi) and prop master Bernard (Bernard Menez) — and the man trying to keep the whole operation from falling apart is the director, Ferrand, played by Truffaut himself. Of course, movie-making is far from an exact science, and Day for Night also looks at the countless unexpected challenges that crop up in the course of a film shoot. Some are minor (Ferrand doesn’t like the white car chosen for Pamela’s crash and wants to paint it blue, but it’s too expensive), some more significant (a power failure at the photo lab forces the cast and crew to reshoot a complicated scene), some potentially catastrophic (an important figure dies suddenly). Quite a few issues stem from people’s personal problems spilling over into their work, no matter how professional they try to be, and this seems to be especially true for the actors. “Actors are so vulnerable,” Alexandre tells Julie’s husband, Dr. Nelson (David Markham), citing their need for constant love and approval from others. Alphonse, for instance, has brought along his girlfriend, Liliane (Dani), for whom he’s obtained an internship as a script supervisor, but his self-centered nature and general immaturity put their relationship in serious jeopardy. Séverine drinks to cope with her son’s illness, and probably her professional frustrations as well. (It irks her that Alexandre, her contemporary, is still playing lovers while she’s been typecast as the neglected wife.) As a result of her drinking and her emotional distress, she has difficulty remembering her lines during the shooting of one scene; take after take, her performance keeps deteriorating, simultaneously farcical and tragic, until at last Ferrand is forced to call it quits for the day. Then there’s Julie, regarded as something of a liability due to her recent breakdown. The fact that she’s a foreigner who’s not entirely fluent in French doesn’t help her feel any more secure, and neither does the discovery that Ferrand has turned her own words, spoken in private, into dialogue for the Pamela character. Like Ferrand, Truffaut blurred the lines between fact and fiction by incorporating real-life elements into his film. “He really is a lot like me,” he said of Ferrand, and the two share a number of traits and experiences: they both suffered partial hearing loss in the military, they both admire the same directors, they both stole film stills when they were young. (As befits his cinephilia, Ferrand’s recurring dream about pilfering Citizen Kane stills is in black and white, as if it’s an old movie itself.) Naturally, considering the film’s subject matter, Truffaut also worked his professional experiences into Day for Night. One noteworthy example: Because Julie is still somewhat fragile, the insurance company refuses to approve her. Truffaut had a similar issue with a British actress named Julie when making Fahrenheit 451 in 1966: “The insurance company’s doctor examined Julie Christie and found her too tired by her nine months work on Doctor Zhivago,” he wrote in his journal. Another, rather more frivolous: The scene where the crew has to deal with an uncooperative cat that refuses to drink milk from a breakfast tray was based on an incident from the filming of The Soft Skin (1964). To blur the lines even further, Truffaut made use of his actors’ professional histories too. For example, when Séverine can’t remember her lines, she says, “I have an idea. Why don’t I use numbers, the way I do with Federico?” Valentina Cortese had appeared in Federico Fellini’s Juliet of the Spirits, and the Italian director did, in fact, allow his actors to reel off “whole sequences of numbers instead of dialogue (for simplicity’s sake),” because the live sound recorded during shooting would be replaced with a post-synchronized soundtrack. (An actor in Fellini’s Satyricon reportedly counted all the way to 138 in one scene.) Julie is said to have been in “that movie with the car chase,” a nod to Jacqueline Bisset’s role in Bullitt, and Alexandre, like Jean-Pierre Aumont, has spent a significant portion of his career working in Hollywood. Throughout Day for Night, it’s often difficult to tell where cinema ends and life begins for Ferrand and the other inhabitants of this insular world: Bernard and assistant director Jean-François watch a movie quiz show on television, two children play go fish with cards named “the electrician’s grandfather” and “the cameraman’s mother,” the crew members have to be told not to discuss cinema when they gather to record crowd noise, and Joëlle declares, “I’d dump a guy for a film but never a film for a guy!” Alphonse is downright appalled upon hearing that Liliane wants to spend the evening at a restaurant. “You gotta be kidding. We’re in a city with thirty-seven movie theaters,” he says. “We check the paper, pick a movie, go to the theater, find out when it starts, and if there’s time, we grab a quick sandwich.” According to Suzanne Schiffman, Truffaut’s script supervisor turned co-writer and assistant director (and the model for Joëlle), that was essentially Truffaut’s own attitude toward food. It also bears some resemblance to an anecdote about Léaud: In order to prepare the actor to play a bourgeois character in La Chinoise, Jean-Luc Godard gave him money to eat in restaurants — on the condition that he didn’t spend it at the Cinémathèque Française instead. “It’s a strange life we lead,” Cortese, as Séverine, says at a farewell party near the end of the Meet Pamela shoot. “We meet, we work together, we grow to love each other, and then… As soon as we grasp something, it’s gone. Gone!” All that remains, perhaps, is what appears on the screen — a train in the night. Brody, Richard. Everything Is Cinema: The Working Life of Jean-Luc Godard. New York: Metropolitan, 2008. De Baecque, Antoine, and Serge Toubiana. Truffaut: A Biography. Trans. Catherine Temerson. New York: Knopf, 1999. Fellini on Fellini. Trans. Isabel Quigley. Da Capo, 1996. Le Berre, Carole. François Truffaut at Work. Trans. Bill Krohn. London: Phaidon, 2005. Le Roman de François Truffaut. Paris: Editions de l’Etoile, 1985. Truffaut by Truffaut. Ed. Dominique Rabourdin. Trans. Robert Erich Wolf. New York: Harry N. Abrams, 1987. Truffaut, François. Correspondence 1945-1984. Trans. Gilbert Adair. New York: Cooper Square, 2000. Truffaut, François. Hitchcock. New York: Simon & Schuster, 1983. Truffaut, François. “Journal of ‘Fahrenheit 451. '” Cahiers du Cinema in English, no. 5, 1966, pp. 10-23. 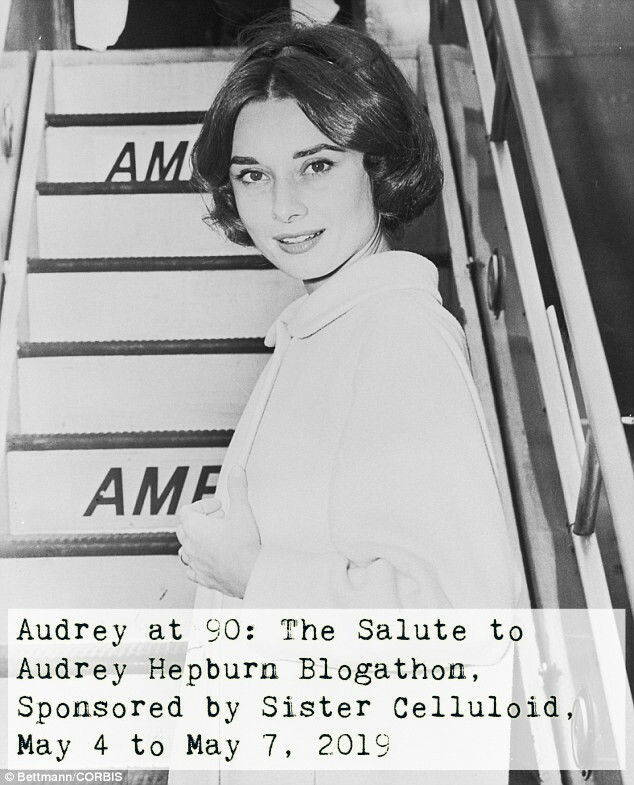 This post is part of the 31 Days of Oscar Blogathon, hosted by Paula’s Cinema Club, Once Upon a Screen and Outspoken & Freckled. Click the banner above to see all of the other great posts. This sounds mind-bending and I know I’ll love it. Hope you enjoy it! It’s a lot of fun. This is a beautifully written blog post about my favorite French film ever. Truffaut is amazing, and it wasn’t his thing to do a political movie about movies, but to talk more about the magic. Actually, this is one rare case in which things don’t become less interesting when the magic trick is revealed. Thank you! I agree that revealing the tricks somehow doesn’t spoil the magic here, though I remember being worried about that the first time I saw it. 🙂 And yes, I’ll be sure to read your contribution!